Leverage various cloud services in a simple, secure, and intuitive way. Accelerate API and application development by seamlessly accessing Google Cloud services through Google Cloud’s Apigee API Platform and its extensions feature. Apigee Extensions simplifies interacting with Google Cloud services when developing APIs. Connect your APIs to Google Cloud services through a first-class policy interface. By using this intuitive interface, an API developer can simply pick from the policy palette and use the necessary services. Once configured, policies for Google Cloud services can be reused across all API proxies. Speed up the time to market for your API products while ensuring maximum security and scalability. Leverage cutting-edge machine learning technologies such as Cloud Vision, Cloud Natural Language, and Cloud Machine Learning Engine to develop AI-powered applications. Monitor and manage logs for APIs powered by services, containers, applications, and infrastructure. Ingest event streams from your APIs, at any scale, for simple, reliable, real-time stream analytics. Integrate storage into your apps and access data instantly from any storage class. Derive insight from your images with our powerful pre-trained models or train custom models. Derive the structure and meaning from unstructured text in several different languages. Prevent data loss by automatically discovering and redacting sensitive data from your APIs. Easily store, sync, and query cloud-native application data at global scale. Horizontally scalable, strongly consistent, relational database service. Authenticate users to a Google Cloud Platform (GCP) API using service accounts or user accounts. Run your APIs in the cloud with an event-driven serverless computing platform that automatically scales. Build superior machine learning models and deploy them into production. Analyze data to find meaningful insights without the need for a database administrator. 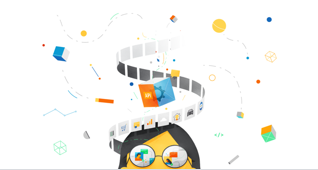 Apigee Extensions enable us to seamlessly connect to cloud services like Google Stackdriver. This enables us to focus on the development of our APIs, abstracting away the complexity of connecting and interacting with multiple cloud services.